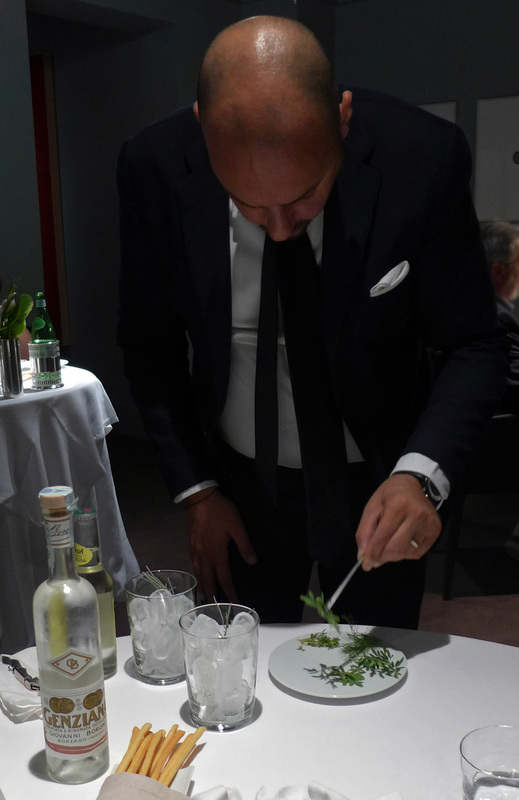 “Let`s do Frogs” – Dinner at Osteria Francescana. I remember a crazy day quite a while ago , a bit of a mad moment when i made a 350 mile trip down to London and back home again just to eat lunch at Marco Pierre Whites restaurant in Knightsbridge. 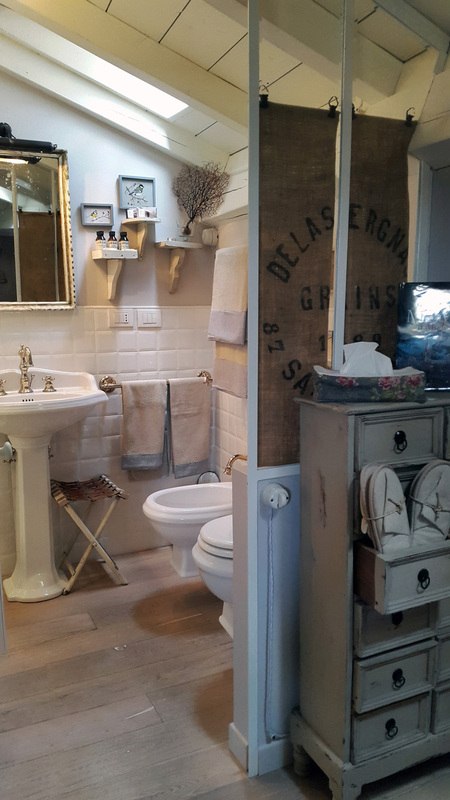 Since then i`ve obviously grown older and much dafter and regularly make the same journey down to the bright lights for food….it`s the norm now and a 700 mile round trip for lunch doesn`t seem that crazy any more. However, a 2,500 mile trip just for dinner definitely does sound like the actions of a mad man. 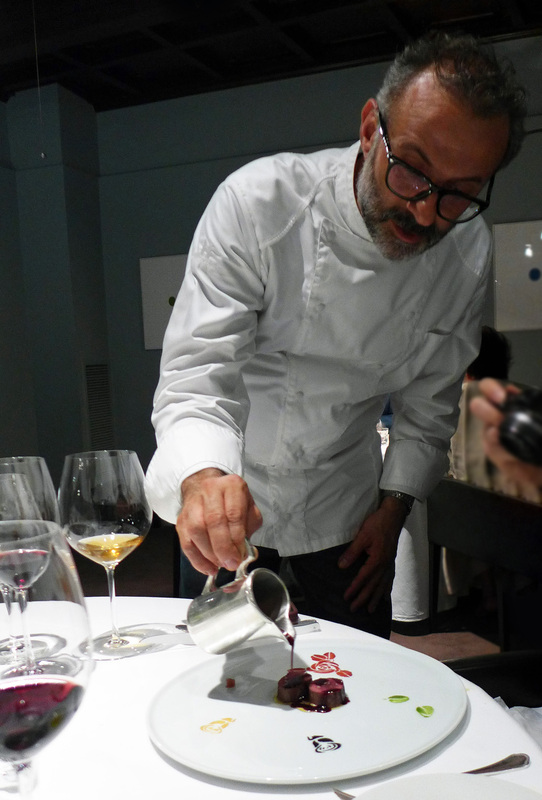 My reason for undertaking this crazy adventure – Massimo Bottura and his Michelin 3 star restaurant Osteria Francescana in Modena. 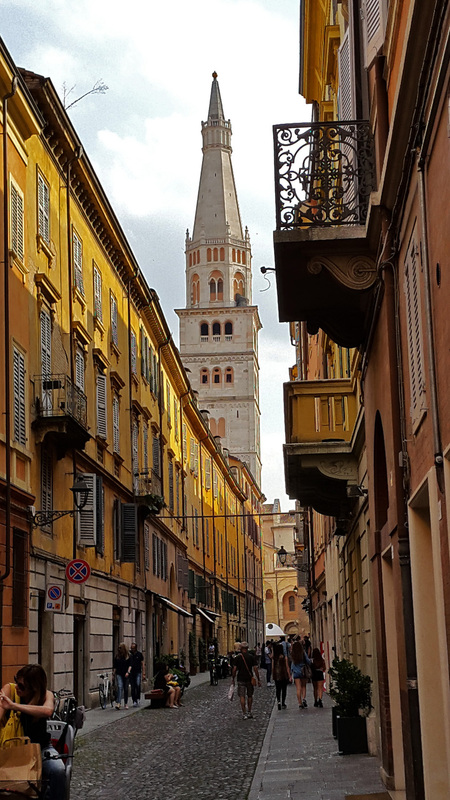 Any Masterchef fans out there will have seen the finalists heading over to Italy to spend time in the kitchens of Osteria Francescana. I remember sitting at home watching the programme totally transfixed on my T.V. ….What an amazing man this is, I thought to myself. I always thought Michel Roux jnr was the nicest guy in the business but Massimo Hypnotised me . He Oozed passion and creativity. He welcomed the contestants into his kitchen like his own children .His words and encouragement were magical and the contestants were totally won over by Massimos spell… and so was i. I simply had to go to Italy , meet the guy and experience this magic for myself. 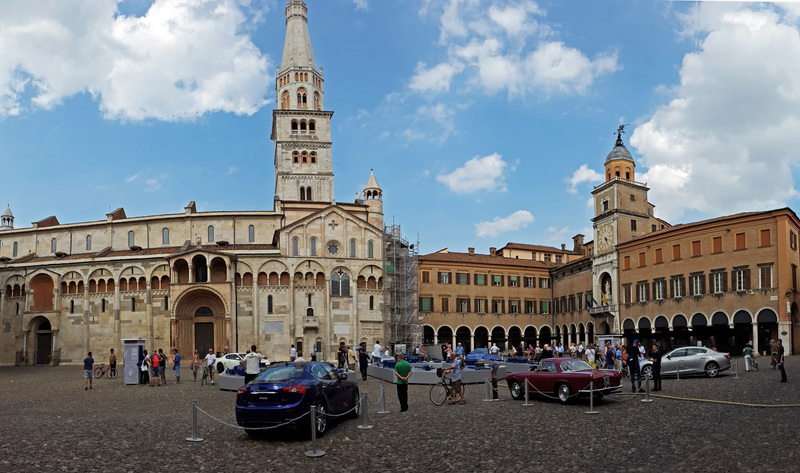 A 3 hour car journey from Whitehaven, a 2 hour plane journey to Bologna and then straight into a little Fiat Panda hire car. O…M…G… they drive like lunatics here. 5 lanes of motorway on the wrong side of the road in a left hand drive car….total bloody madness. 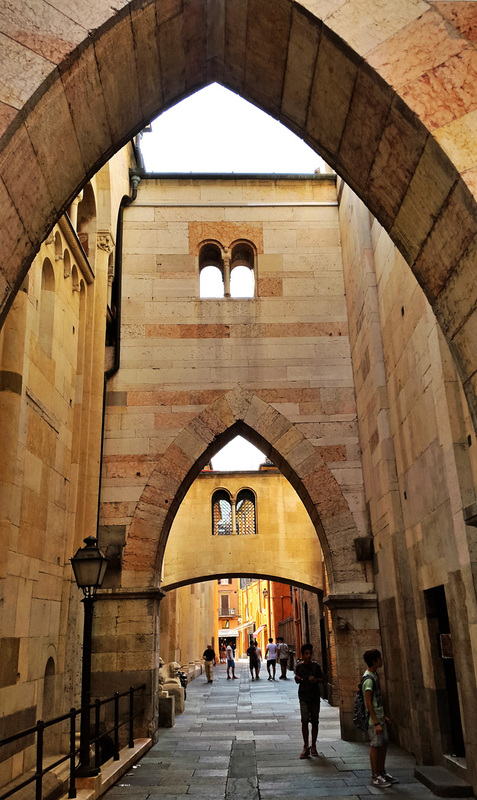 I arrived a short while later in the sleepy medieval town of Modena….Ahhhhhhh , peace and quiet , my heart was pounding from that little journey ….and yes, they really do drive like nutters so be warned. 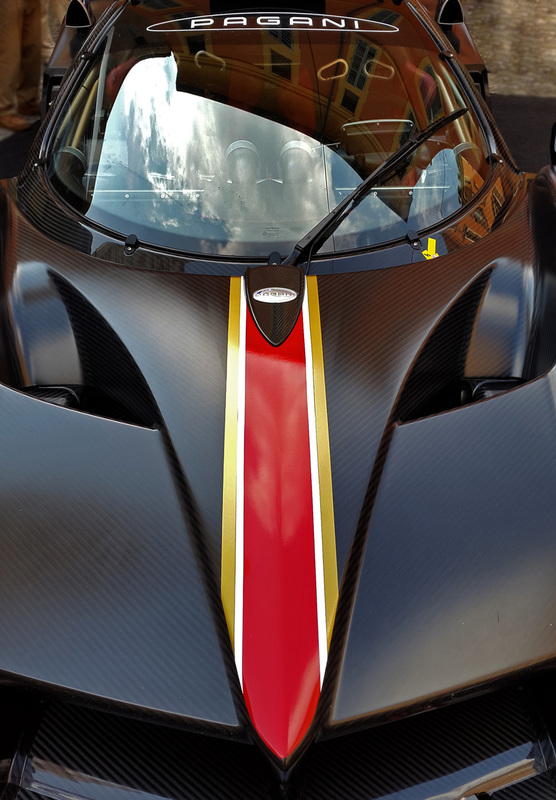 Massimo grew up in Modena in the Emilia Romagna region of Italy. 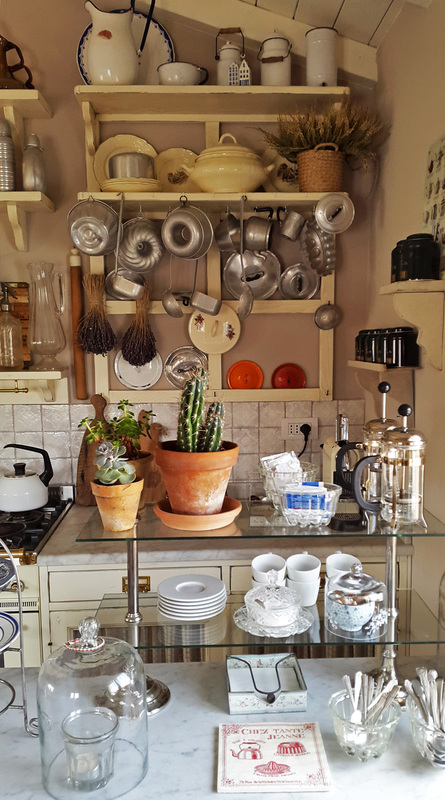 He expressed an interest in cooking from a very early age.Massimo then worked in a number of restaurants building the foundations of his classic Italian roots before working with Alain Ducasse at Louis XV in Monte carlo. This was followed by a summer at El Bulli with Ferran Adria, which encouraged him to push boundaries and re-write rules with his cuisine. 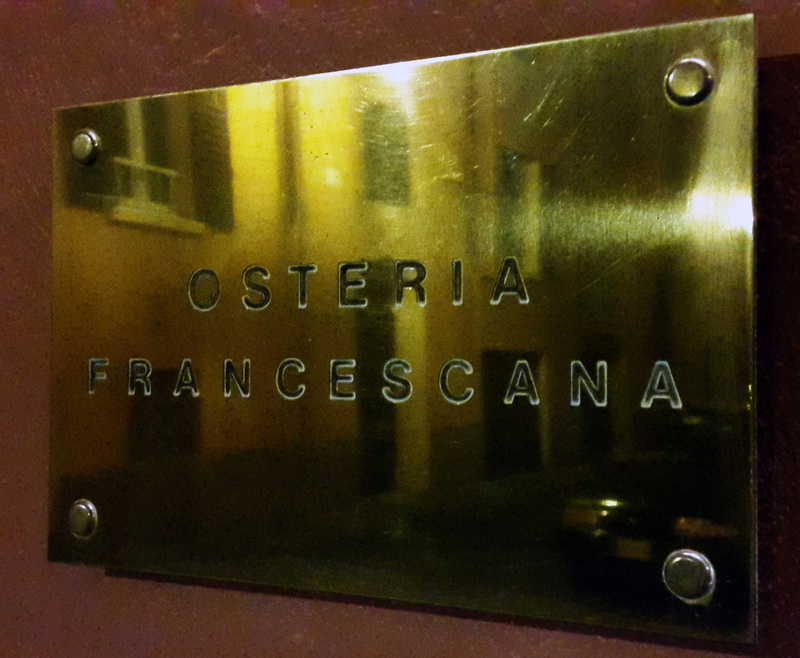 In 1995 Massimo opened Osteria Francescana in the medieval city centre of Modena. 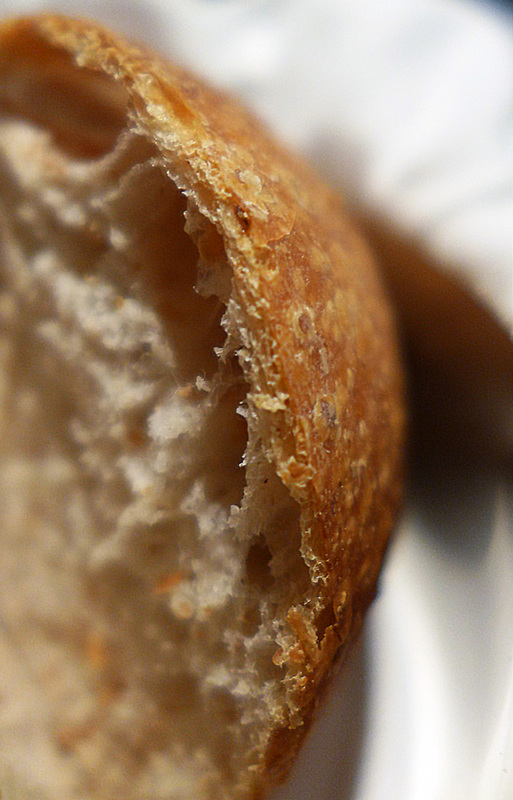 The restaurant would marry culinary tradition and innovation with contemporary art and design. 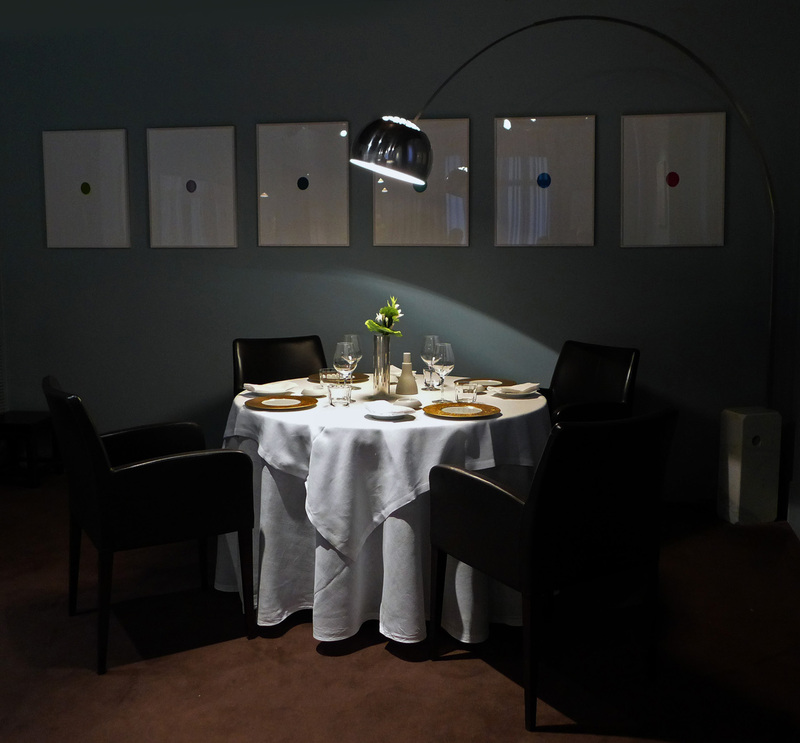 In 2012, shortly after Osteria Francescana was awarded its third Michelin star. I met up with a friend from London ( finediningexplorer ) , another food fanatic who had kindly arranged the restaurant reservation for the pair of us. 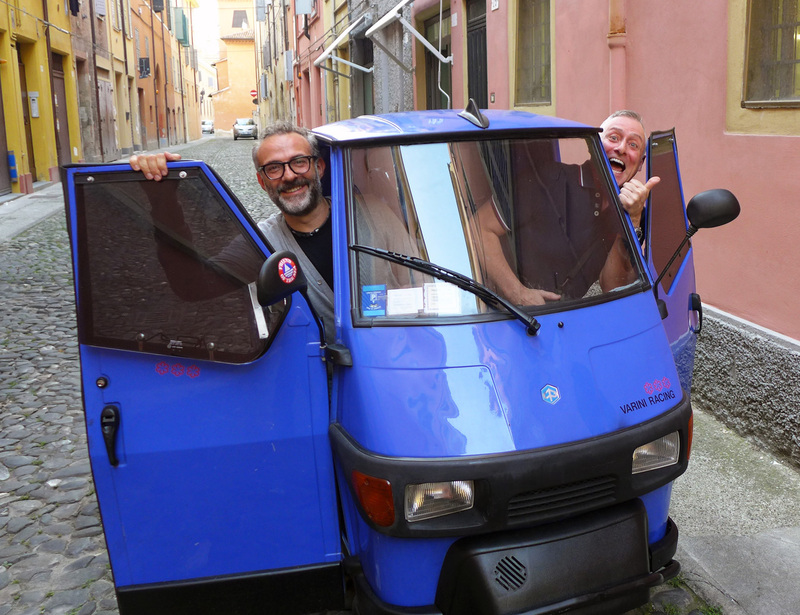 When we arrived at the restaurant the first person we set eyes upon was Massimo fooling around in the back street with the chefs. Without a seconds hesitation he was straight over , all smiles and laughter with big hugs all around…what a guy, he`s the most likeable bloke on the planet …and nuttier than a xmas fruitcake. He explained what he was going to cook for us , it would be a 15 course combination of his classic dishes and his new dishes in progress. Every course was described in detail to us , this guy loves his food like no other. ” Is that enough food for you guys ” ? Massimo turned and headed to the kitchen before spinning around and heading straight back over to our table….. ” You guys like Frogs ” ? ……. ” Let`s do Frogs ” and in a flash , he was gone. “Oyster in the woods” – This idea comes from the myth of Oysters in the Adriatic Sea which for a fact `do not exist`. 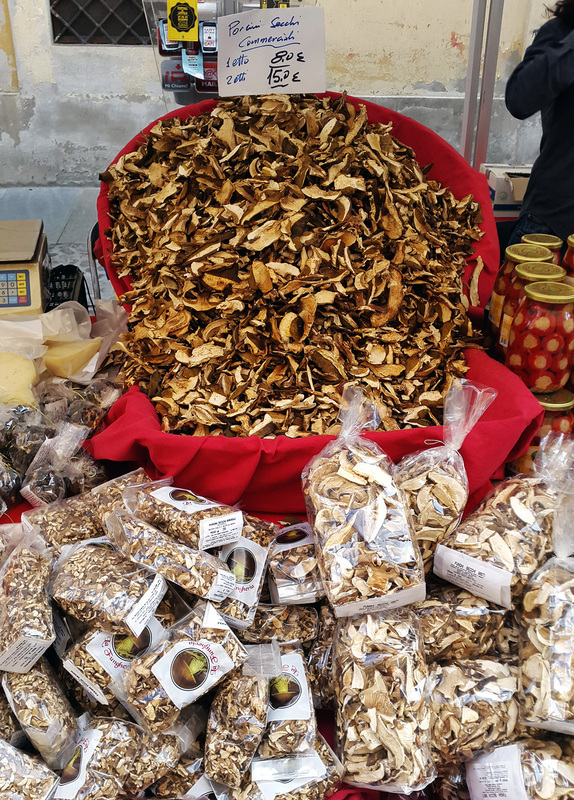 Ok….so if there`s Oysters in the Adriatic then there`s also Oysters in the local Woods. 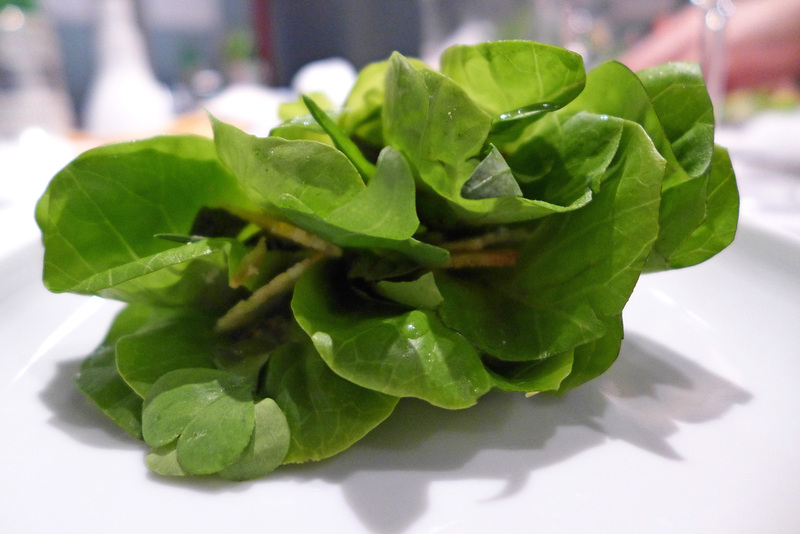 This dish consisted of a Raw Oyster in light broth of Oysters and herbs with Horse radish. 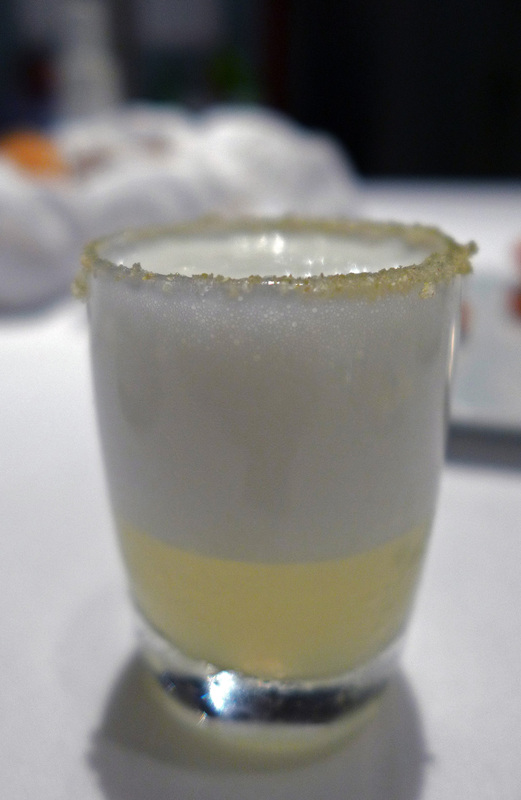 We were given a small shot glass of `Genziana` to drink with this course. It had a very Herbal / early morning `damp woods` smell to it….very unusual but very interesting and it had us both snorting away with noses in the glass like crazy Truffle Pigs. 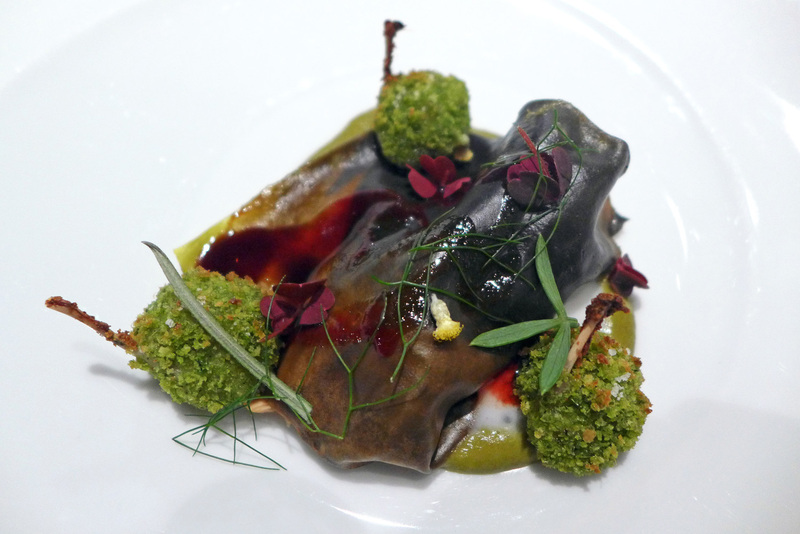 This dish is called “Eel swimming up the Po River” and is one of Osteria Francescana`s signature classics. The Po is the most important river in Italy passing through many regions. Here on the plate the Eel is accompanied with Polenta and a Green Apple extraction representing the produce of two of the regions that the Eel passes through during its journey from the Sargasso sea. The Eel is first cooked `sous vide` before being grilled and laquered with repeated layers of Saba (Made from residues of balsamic vinegar) sauce and sprinkled with the “Powder of the canal” ( burnt Onion powder ). The Eel itself was very delicate and had just enough fat giving it a nice richness. East meets West – Pasta with a filling of Sausage, Lemon peel and Shrimp, accompanied by Lentils and a spiced Meat sauce. “A Red mullet hiding in the Rockpool “. 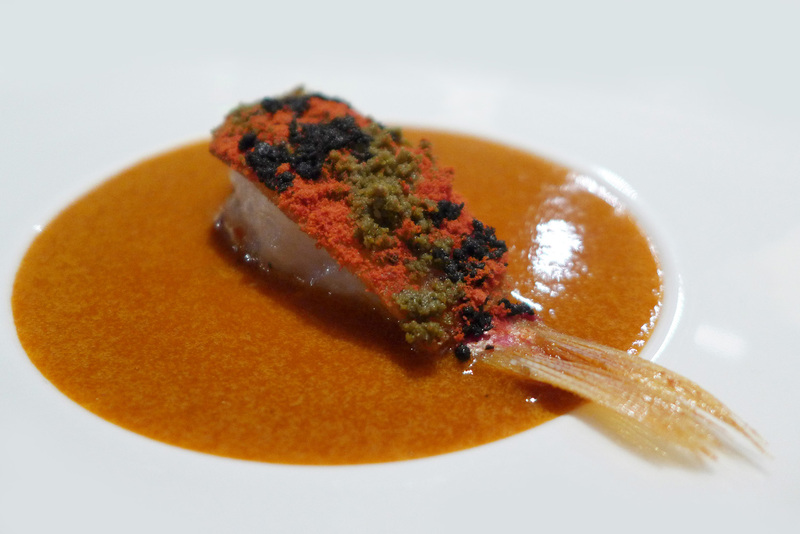 The fish is Camouflaged using a Powder of Tomato, Green Olive and Black Olive on the crispy skin.The sauce was packed with flavours of intense Tomato and lots of Fish and Crustacean inspired by a traditional Toscana Fish Soup. A Tribute to a Thelonious monk – Using a Black and White theme resembling a Piano key. The fillet of Cod was poached for 20min at a low heat to get the firm texture without overlooking it. 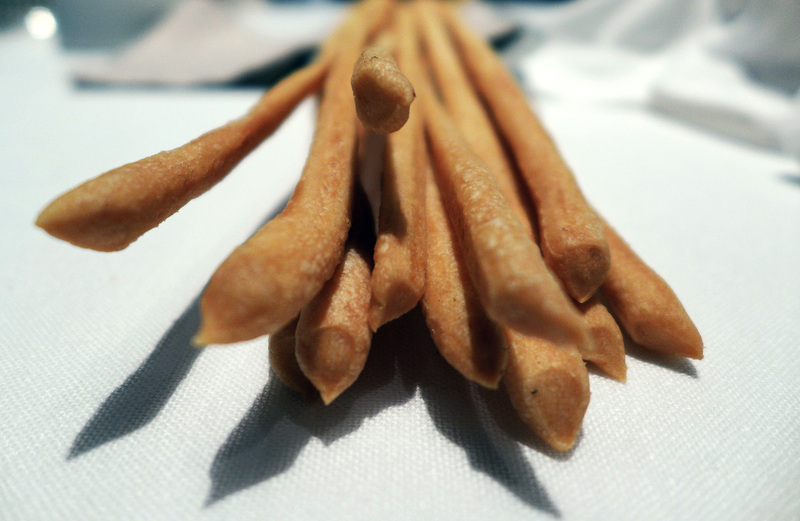 The Cod skin was Crispy and coated in Sea Urchin ash. The Squid ink broth was made with Katsuobushi (Japanese dried Bonito flake based stock with good Umami). Vegetable Spaghetti (Celery, Carrot, Daikon) at the bottom. 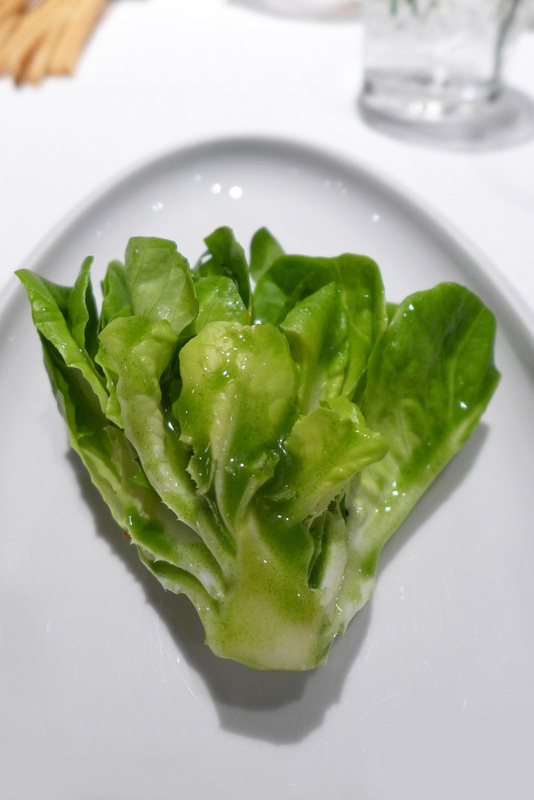 Caesar salad – A Simple lettuce arrived on the plate…or so we thought. Hidden inside were 22 other ingredients.Parmesan, Crouton, Pumpkin seeds, Mustard seeds, Sesame, Bacon, Egg, Dill, Balsamic, Herbs and more. Remember as a child , everyone wanted the “Burnt part of the Lasagna” ? 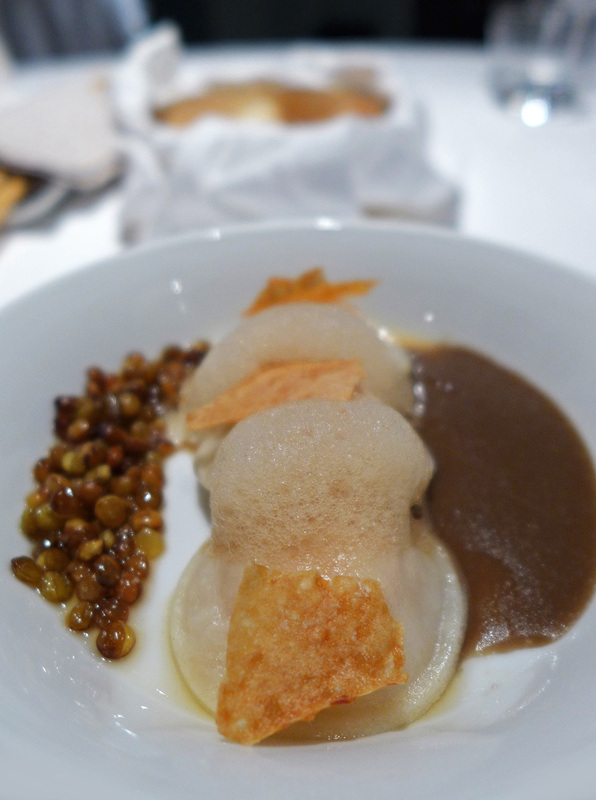 Here at Osteria Francescana Thin Pasta sheets were fried with Parmigiano, Bechamel and Ragu… but without Tomato. 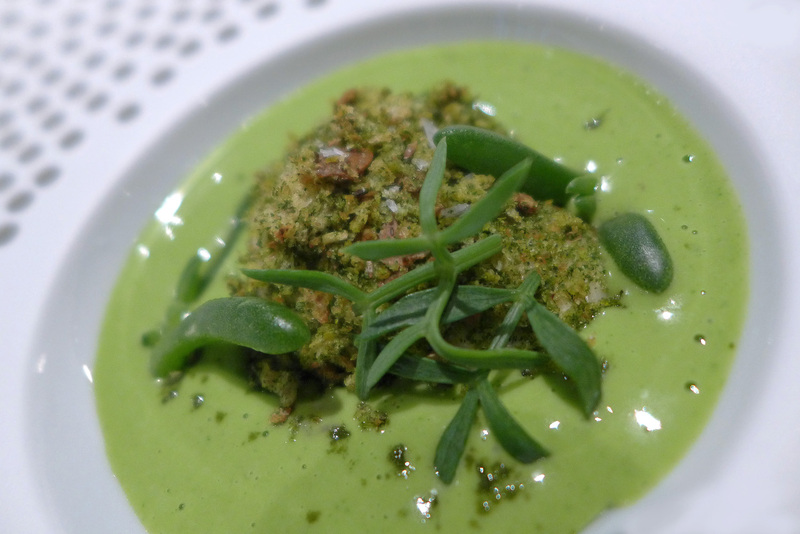 ” Frogs in the Pond ” – Toasted Frog legs in Bread and Herb crumbs. 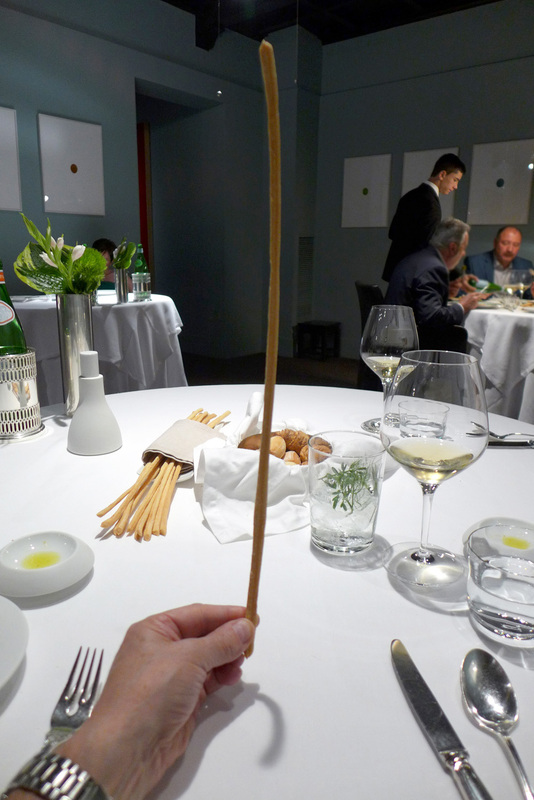 Underneath a thin pasta was a tasting of Pine Nut, Hazelnut, diced vegetable and mushroom including a black Truffle. Coffee sauce. 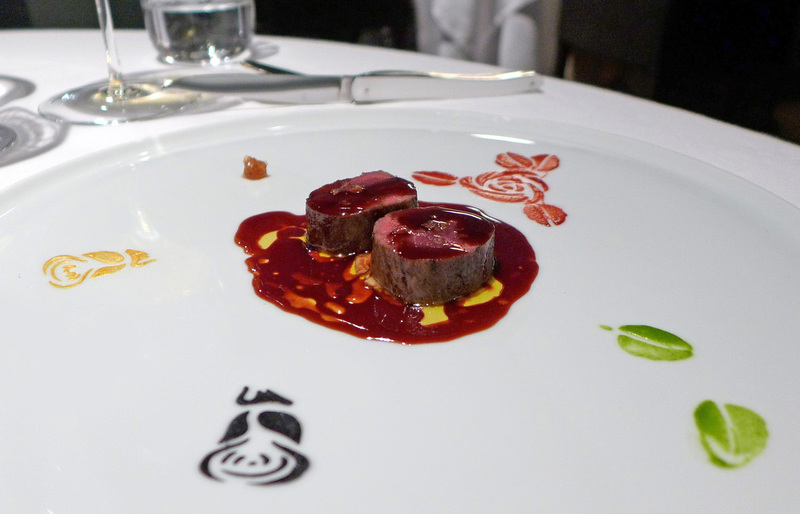 “Deer hunting” – This dish recreates a brutal hunting scene surrounded by beautiful Roses and a Sauce of Foie gras, Venison and Blueberry. 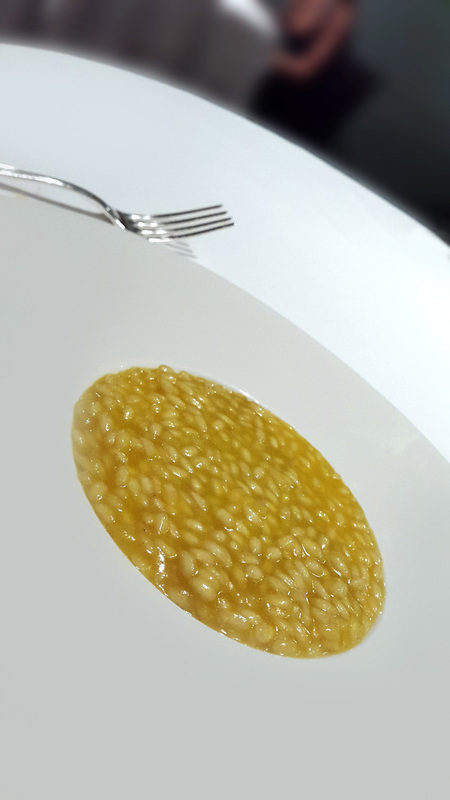 Pre dessert – Reinventing how Risotto is cooked. The juice is extracted from Olive, Tomato, etc and the Vialone Nano Rice is roasted before adding the juices.No Cream , no Garlic, just a touch of olive oil at the end to form an emulsion. 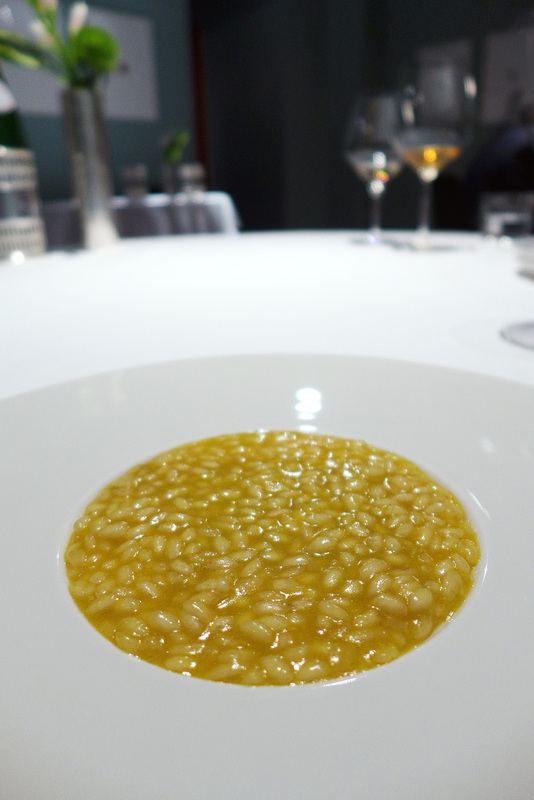 The Rice was cooked al dente with a wonderful balance of savoury and acidity. I closed my eyes – it was a Green Tomato salad.These are the “flavours of Italy” , the sweetness of the Green Tomato was lovely, so intense that it even resembled sweet citrus sauce. Slices of Suckling Pigs head hid underneath the Rice and just melted in the mouth. 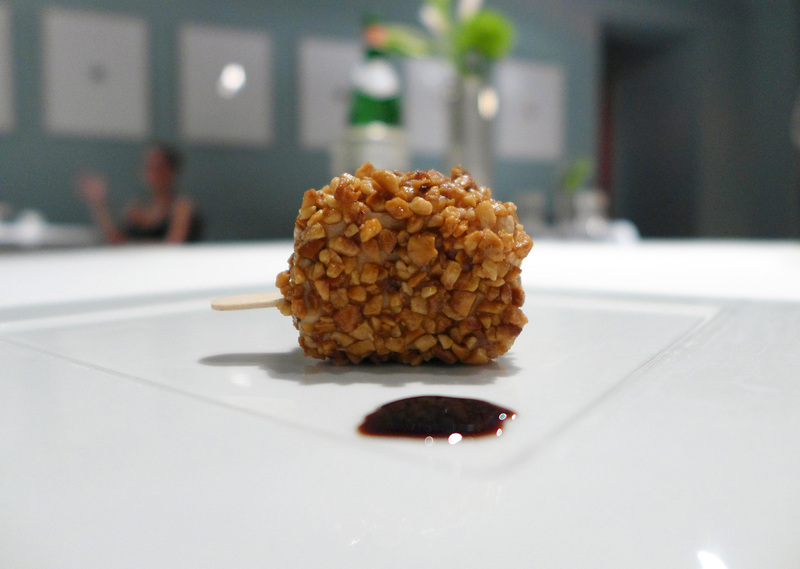 Croccantino of Foie Gras with aged Balsamic Vinegar heart. 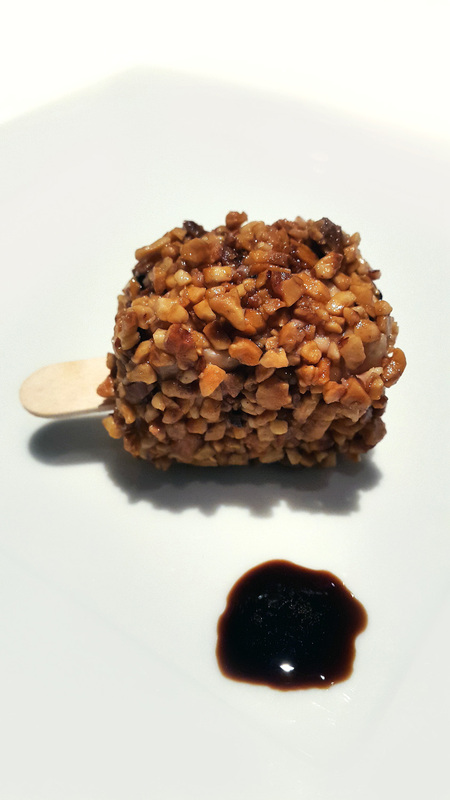 (Magnum lollypop) Foie gras on a stick coated with crushed Hazelnuts and Almonds. 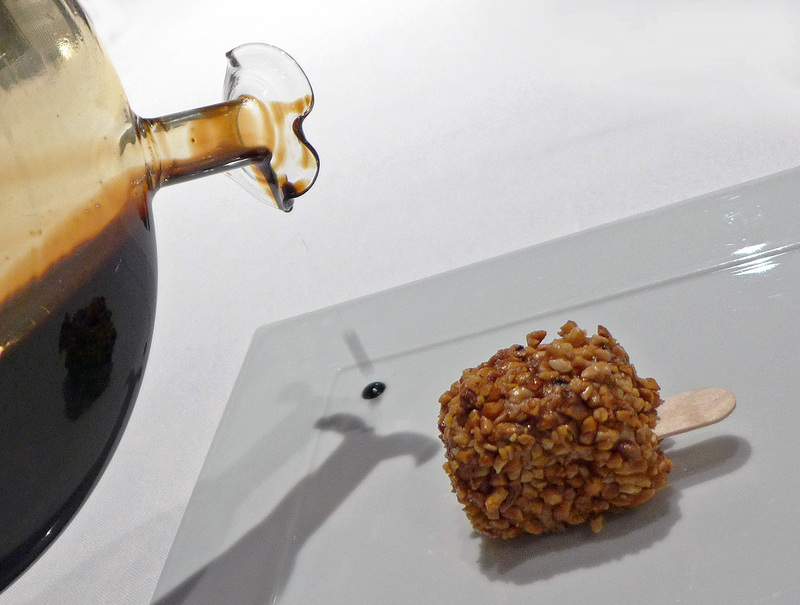 A 50 year old Balsamic vinegar had also been carefully concealed within the lollipop centre which was very intense sweet , sour and very complex. A most unusual stick of ice cream. 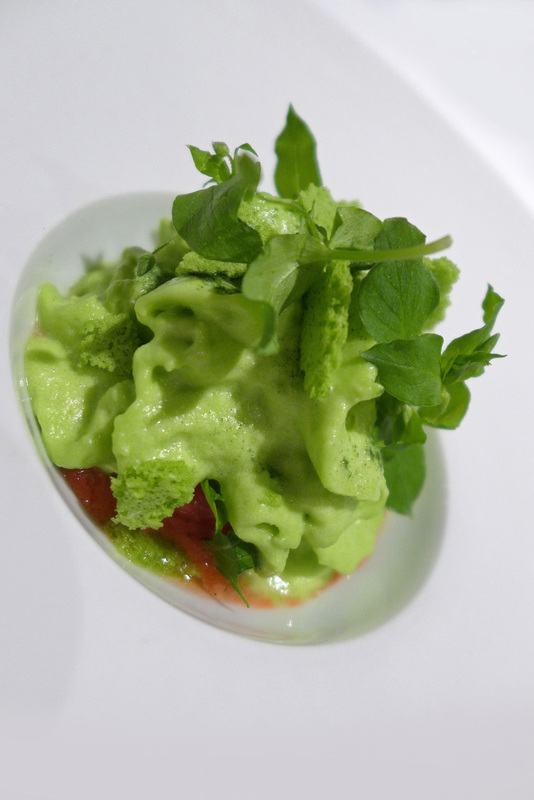 “Think Green” – Milk ice cream, Green Pea mousse , Meringue and Strawberry sorbet. Rather an odd combination of Peas and Strawberries which I really couldn`t get my head around. 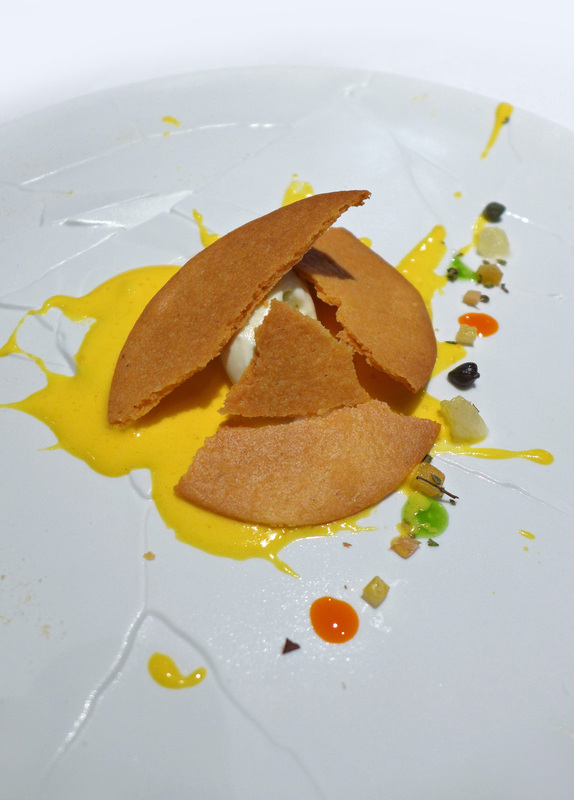 The final course was Osteria Francescana’s world-famous dessert called “Oops! I dropped the Lemon tart”. 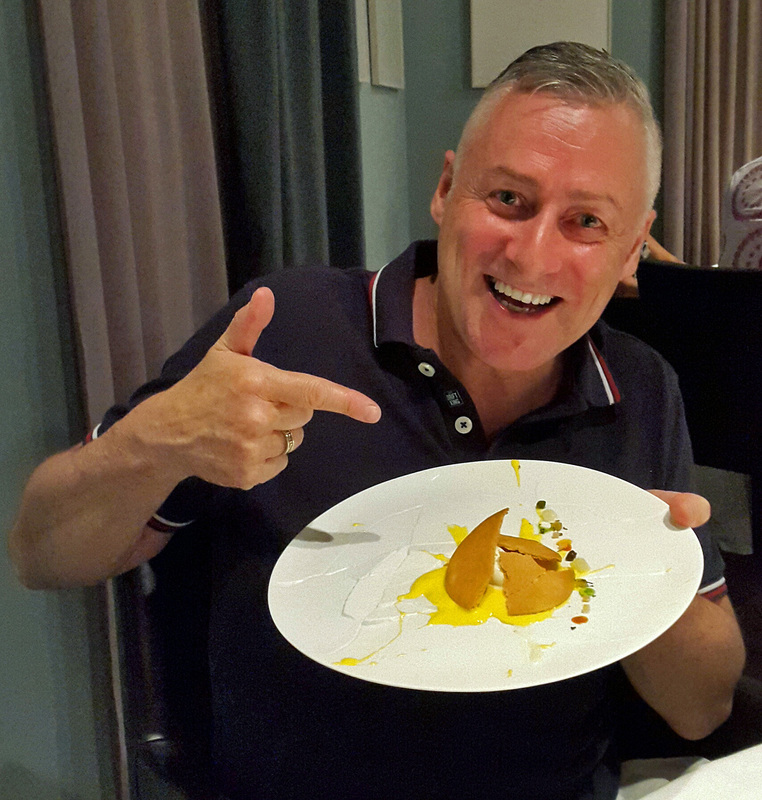 A carefully constructed dish, made to look like someone had dropped the Lemon dessert and served on a specially designed plate. On the plate are small cubes of candied Lemon, Bergamot jelly, Spiced Apple, a few drops of Chilli and Lemon oil, salted and Honeyed Capers. Then a light and foamy, Lemon and Limoncello Marscapone Sabayon is splashed over these ingredients, on to which a Lemongrass sorbet and a broken biscuit are placed. 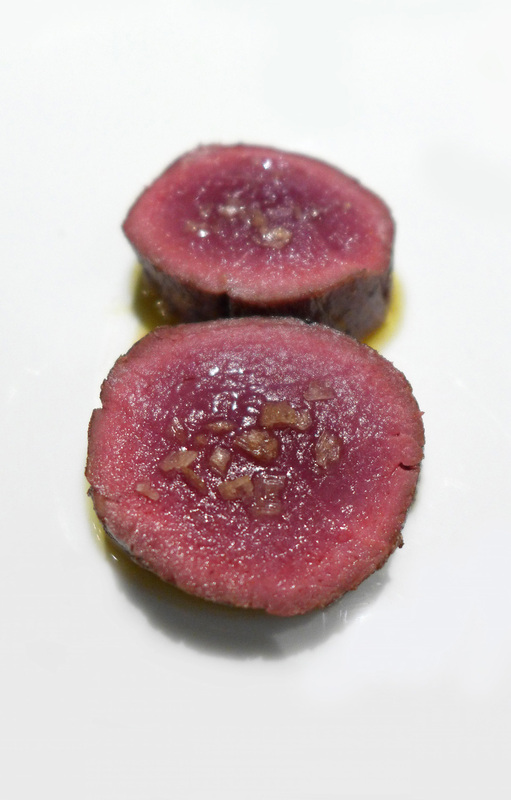 A fabulous dish with a strong sense of theatre, but also a surprising, fastidious attention to detail. 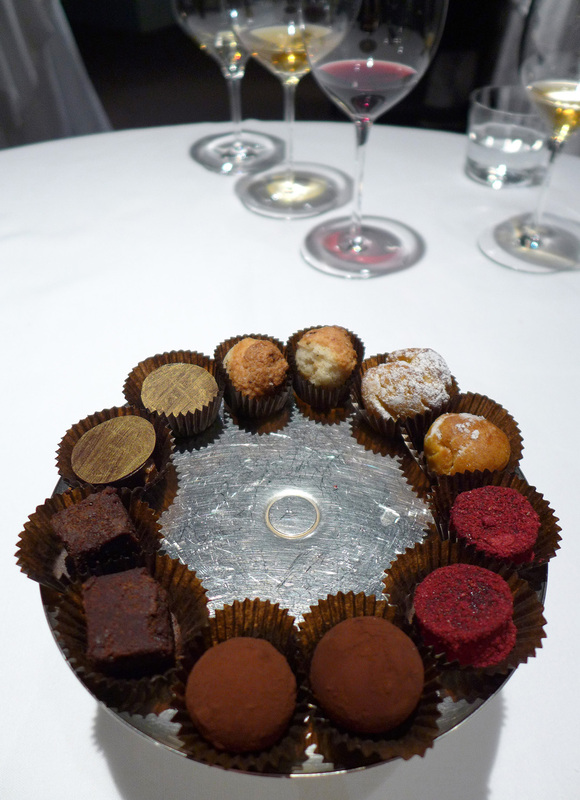 Petits Fours….Cmon , how could we refuse ? So the BIG question….. Was it worth it ? 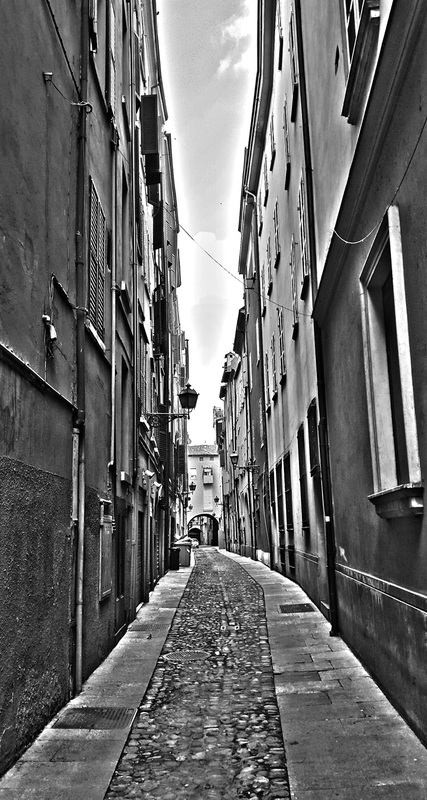 All that driving – Cumbria , Manchester , Bologna , Modena , Bergamo , Milan. Flying into one Italian airport and back from another 200km away. Well , tell you what….. I`d go back tomorrow….but only on one condition. Massimo needs to be there. He makes the place come alive , he transfers his passion to the diner both visually and verbally. 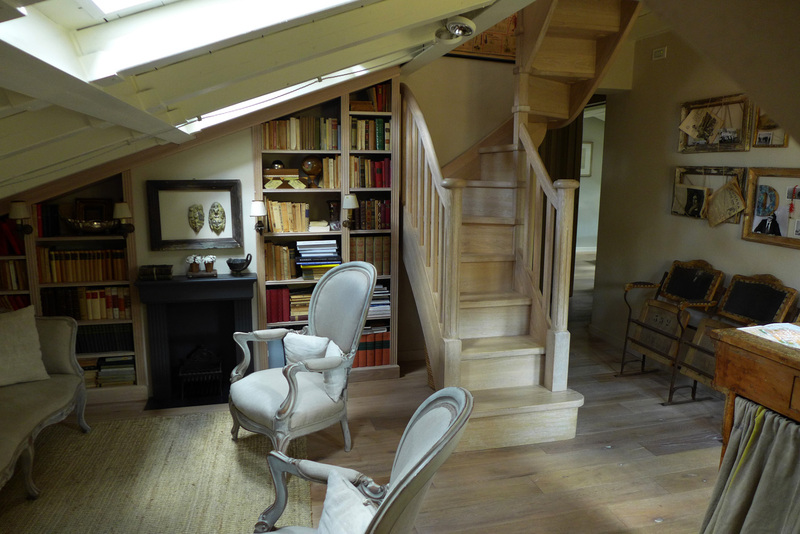 Massimo is the magic behind this business so i`ll certainly be making sure he`s going to be there on my return visit. He`s a very busy guy who travels the world so i feel very blessed that i had the `full on` experience as it should be. We were each given a little going away gift from Massimo. It was a bottle of his own family produced and very special Balsamico. The following evening i checked Twitter and seen that it had won a competition that same afternoon…. ” The Best Balsamic vinegar in Italy” …..It`s now sitting in my kitchen like a little bottle of liquid Gold….Another Happy customer. Ohhhhhhh …..I`ve just realised something. 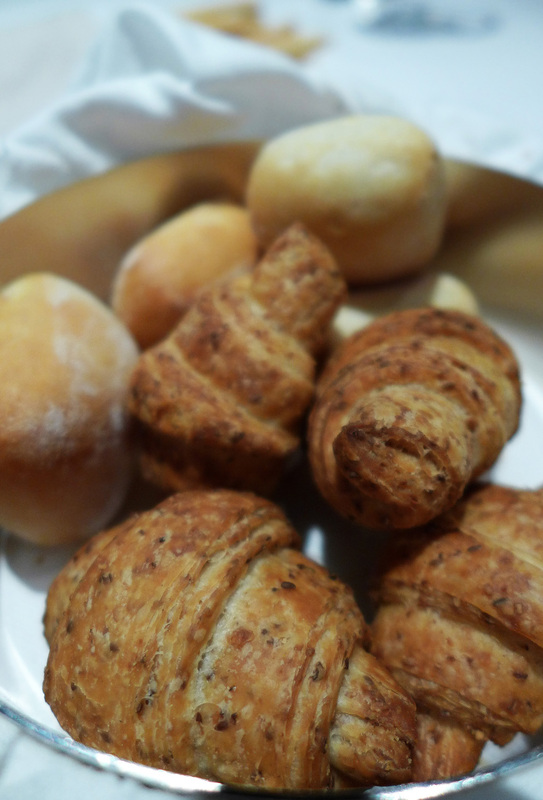 – Massimo added an extra to the menu which never appeared ” The Potato that wants to be a Truffle ” , it`s a dish on the classics menu…That`s it , a perfect reason to go back again hee hee. TO VIEW ALL OF THE PHOTOS FROM DINNER PLEASE CLICK HERE. 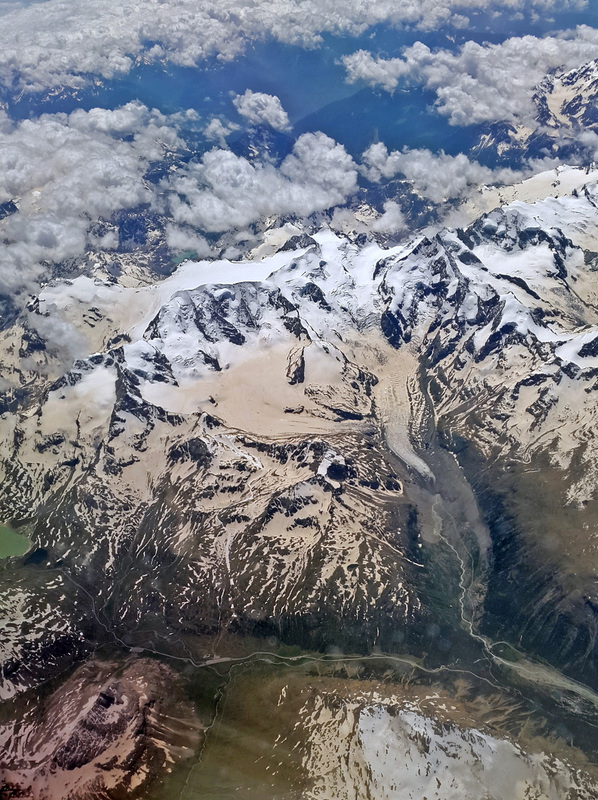 The French Alps in June…Still Skiable. 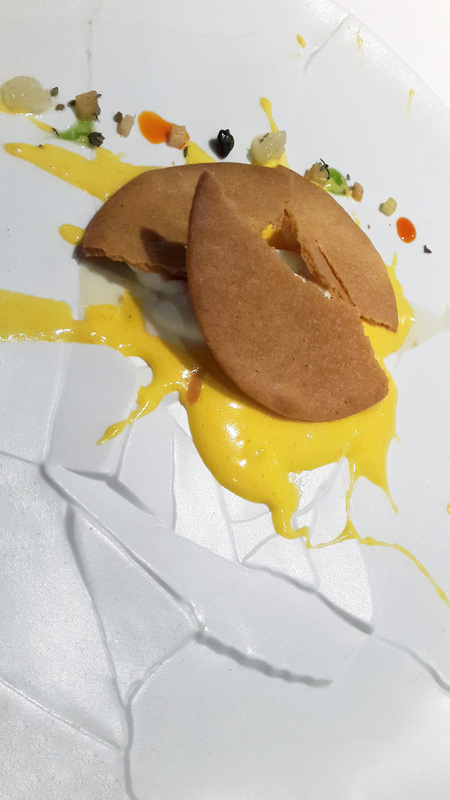 Ooops a Daisy…..I dropped the Lemon tart. This was an amazing demonstration of how to make the most wonderfully refreshing drink using literally ” 2 drops ” of Genziana liquor. First of all the glass was filled with ice. 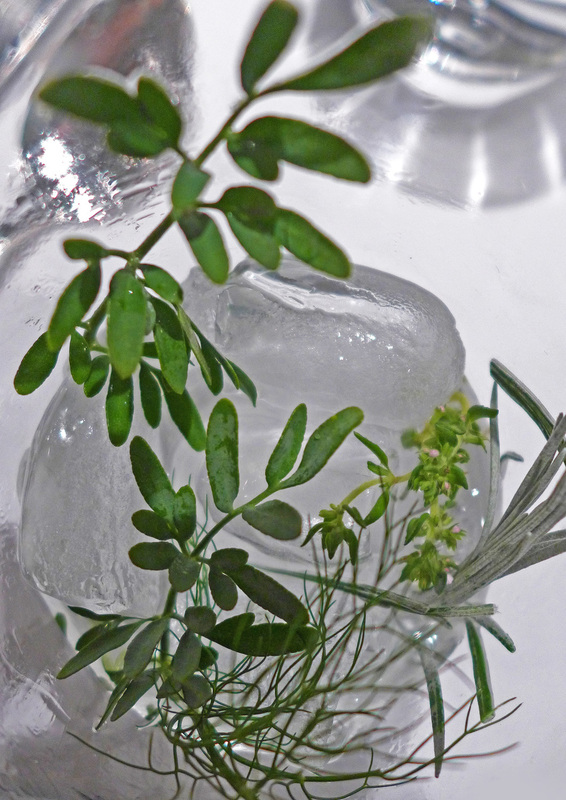 Then pristine quality aromatic herbs were added to the empty glasses from the kitchen supplies. 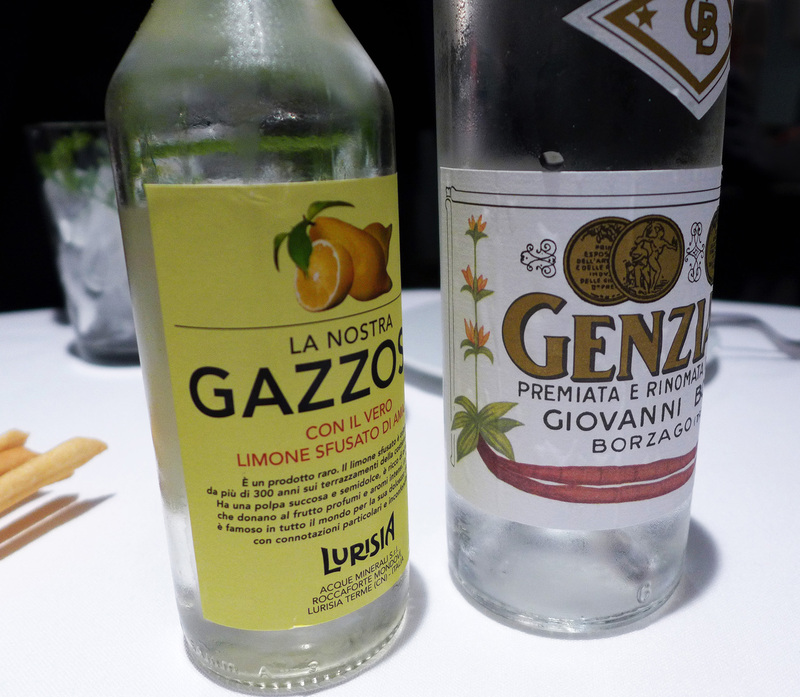 2 drops of Genziana were then added to each glass and topped up with “Gazzos” an ultra refreshing mineral water with Amalfi Lemons….OMG….what an amazing drink. You have to try this during a meal at the restaurant. Previous Post Janice Wong – 2am Dessert bar ,Singapore. Wow. Great write-up. You were indeed lucky Massimo was there. When we visited in May he was missing and while the meal was excellent, there was an element missing and that element was Massimo. I would also have no qualms with returning back. I agree , Massimo needs to be there to have the best experience at O.F.